Get ready for your heart to be melted. This is a wedding that is dripping in romance. A wedding that,from start to finish, is all about the breathtaking details, love-filled moment and a bride who really know how to throw a wedding, from the looks of this English country garden wedding captured every moment by Cooper Wedding Photography. This wedding has left me speechless. You can get lost in every second of this English country garden wedding right over here. 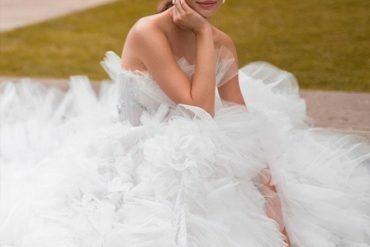 The Bride : I found my wedding dress’s at Pronovias, I didn’t want to spend ridiculous amounts on dresses I would be hard pushed to wear again. So Pronovias was the perfect place for me. They had so many different styles and I thought for the price it they were very reasonable. I had two dresses. The first was the lace covered fishtail which I used for the first half of my day. I actually lost too much weight right before the wedding and in some photos I can see the first dress was a little baggy at the front which now irritates me when I look back. The second dress had a huge split up the side and I wore this one for my entrance into the marquee. Also for dancing – there is no way I could have danced in the other fishtailed dress. The second dress I still have and I will have dyed another colour so I can wear it as a evening gown. 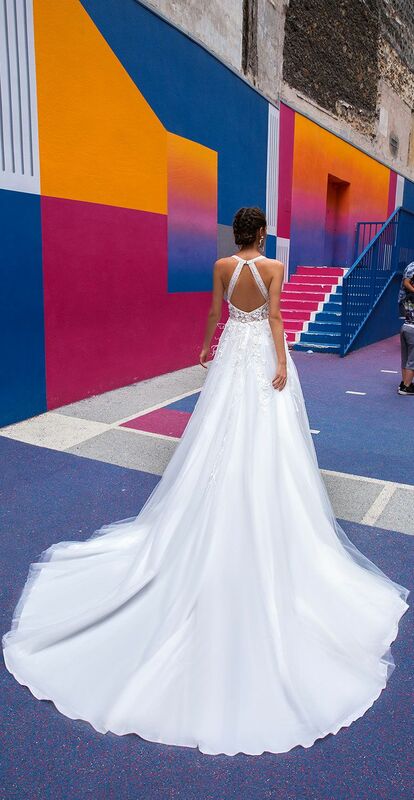 The Bride : I always knew exactly what colours I wanted at my wedding. I wanted very subtle pinks and soft greens. No harsh ivy or anything dark in the marquee at all. I know nothing about the different types of flowers there are or even what season so when I had my meetings with Lulu from Maison de Fleur. I made sure she just understood the colours I wanted and the softness of the types of flowers for the tables and candelabra. I had a budget to stick to and even though I wanted the marquee to be the place where most of the floral budget was spent I was very open to using cheaper flowers with roses dotted throughout so I could get the fuller look. Under no circumstances did I want the tables or the marquee to look under dressed. It was very important for me for it too look sumptuous rather than worry about the quality of rose or smell. The Bride : Again with my wedding cake I wanted big and beautiful. The birdcage theme was put into play with my cake and I asked my cake maker Zoe from the Cake Parlour to go over the top. Birds perching on the tiers, flowers cascading down the sides, beading lace work and our initials on the front. We had a false bottom tier to give it more height and because there was only 110 people and that wouldn’t have been enough cake to make as large as we wanted. I also picked a stunning silver stand which mirrored the beading on my cake. We had a traditional fruit cake on the top which we have kept frozen for the Christening of our first child, the next tier down was banana and passion fruit ( my personal favorite) then there was a lemon and finally at the bottom a chocolate and orange. We supplied boxes with our names and date of our wedding day and pieces of cake were given out to the guests as they left. The Bride : Its very hard to choose the favorite detail of my wedding because I planned every last thing in my mind and then carried it out myself over the course of the year running up to the big day. If I had to choose it would probably be my idea of putting all my guests in the wooded dell area of the garden at my mothers house. We had a fake ceremony conducted by an actor friend of mine who copied exactly the routine from the previous days nuptials in the registry office in Winchester. We had all sorts of things like candles, birdcages, bells and hearts hanging from the trees. All my guests were scattered around us with the family closest. I had the white carpeted isle winding its way from the house, across the lawn and right through the middle of my guests with ave maria playing from the harpist. I arrived under my white archway decorated heavily with roses and flowers where my husband was waiting where we said our vows and heard readings and a song from my best friend who is a professional singer. The Bride : We stuck with the non religious vows used in the registry office and the only thing I took out was the bit about obeying. I don’t tend to obey anyone or any rule much, so I thought it not best to start the marriage with something I am definitely not good at. The Bride : My sister read a poem that she had made up. It was very sweet, entertaining and funny. My husband is ginger and the last line to her poem was “the futures bright the futures orange”. That had everyone laughing. The Bride : We had a huge range of wedding music, from a harpist on the lawn for the afternoon english tea part of the day. Ave Maria as I walked down the isle to Feel the Love By Rudimental ( a banging house tune) as we walked into the marquee for the wedding breakfast. I asked the dj to really pump the volume as there is a really good begging to that song which lends itself well to a grand entrance. The DJ messed it up and that was probably the moment that upset me the most of the whole day. It was a great song and a great idea and if he had got it right it would have been fantastic. The Bride :The most memorable moment of our day was probably when we sat at the top table which was slightly raised so we could see everyone at the back as well as those at the front. We looked out at the marquee (flowers, candles, table settings,) looked at all our friends and family and all we could see was so much love on the faces of everyone. Everyone was smiling at us and even though we couldn’t be with everyone we could see they were all enjoying themselves and loving what I had done with such a plain white space. The Bride : My advice would be for any bride planning their wedding is don’t spend a fortune on a wedding dress! Make sure you are in shape for your wedding day( I look back at my wedding photos and I’m sooooooo happy I was looking my fittest and slimmest) Don’t wear too much make up or jewellery – those things will go out of fashion and you will wish you looked natural and fresh. Spend lots of money on the table decorations – guests love it and you will never forget the looks of their faces as they walk in and are wowed by how much effort and time has been spent on making things look nice for them. Never let the alcohol run dry! Don’t take your shoes off ever – this is the one day you must look like a lady and the adrenaline will stop the pain anyway. My feet were numb for 3 days in Venice but who cares? At least I wore my Jimmy Choo all night and stayed looking presentable at all times. And lastly make sure you book a fabulous honey moon because after the wedding is over you need something to look forward too. It was a years worth of planning, love, thought a shed load of money and its was all over so fast I actually felt slightly depressed the next day when the big clean up and take down begun. What a beautiful wedding, the garden ceremony is stunning. Gorgeous details, gorgeous couple, gorgeous day! Incredibly elegant and well done. This is such a pleasure to look at, perfect couple and beautiful photos! Love the Pronovias gown, absolutely fantastic. The bride looks amazing, very beautiful and classy! The colour scheme is so soft and elegant, definitely the perfect choice for the perfect location! Congrats! wow absolutely amazing, love the photo of the bride and her stunning dress! This is as wonderful and beautiful as the bride herself. Spectacular! What gorgeous details…especially love the bride’s dress!